A strong squall line ran across the Midwestern US today. As usual the broadcast weather folk made much of the storm. Fortunately the severity of the storms varied along the line… there was wind everywhere but, in most cases around here, nothing damaging. In many other areas, however, higher winds, strong thunderstorms, and tornadoes ruined the day. For the rest of us it was a blustery morning, a rainy afternoon and here, anyway, an amazing evening. 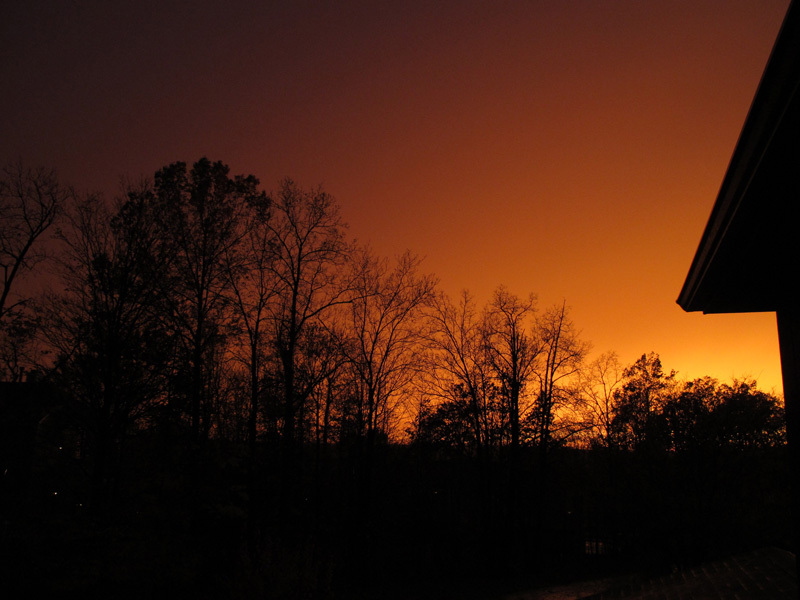 Following the afternoon passage of a squall line, the sunset colored the western sky a vivid orange. Yes, it really was this color! Photo by James Guilford. The incredible color of the sunset drew me out on to our balcony for my best vantage point on short notice. I got my slippers soaking wet and a few stray drops of rain on the camera … worth every bit of it. I looked to the darkening eastern sky and what should present itself but a huge, arcing rainbow –actually a multiple bow– spanning most of the horizon. Had to try and capture that image too. The little Canon G11 was just adequate to the task but, true to the reason I bought it, was at hand when needed. Such was the scene after the storm. 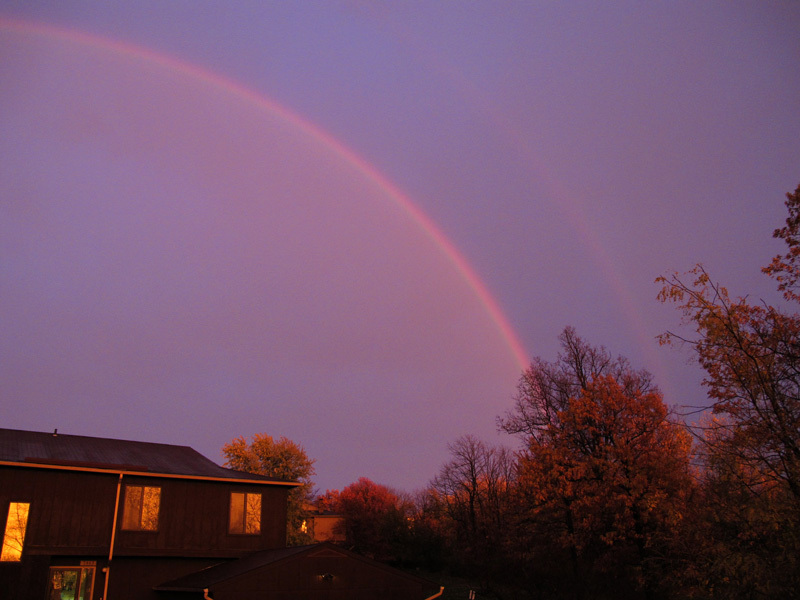 A multiple rainbow graces the darkening eastern sky given an odd cast by a brilliantly orange sunset. Photo by James Guilford. The orange color is so intense, that it looks like there is a fire !!! The rainbow does the sky for two parts. It is a mysterious and beautiful photograph.